It is about time for me to contribute to the Galley. I really enjoy looking at all the neat photographs on this page. 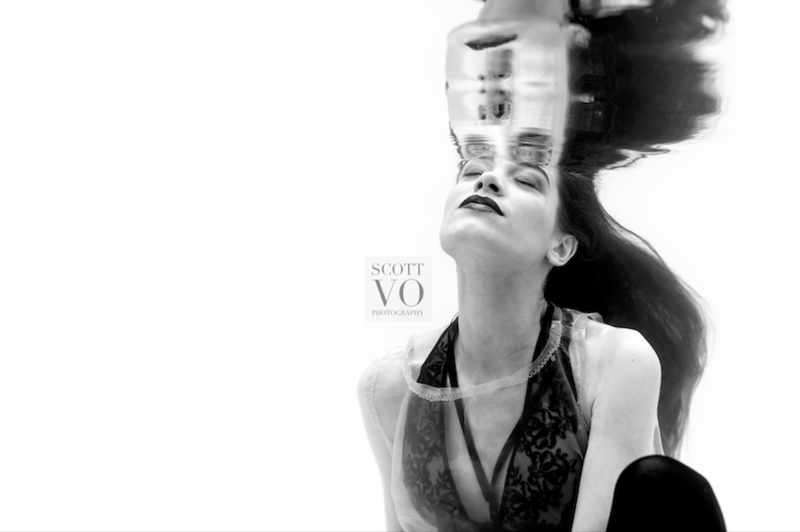 My name is Scott and I am a fashion editorial photographer in Oklahoma. Underwater photography is a challenge and I am really enjoying it. I hope to learn more techniques reading through this forum. Here are a few photos I have taken in the last year. Very nice images. Thanks for sharing. As someone who has never done fashion photography I always wondered how such a shoot is done? Is there a standby diver who gives air to the model between shots? Or is she going up and down all the time? I'm guessing it takes ages to get both the cloth and the model in the correct position. So she probably has to be a rather good apneist? Without a mask the model is also practically blind.. so I'm guessing you have some other divers as assistants to do stuff like move the cloth in the right position? Edited by DanielD, 18 July 2018 - 11:11 AM. I do not have a diver on standby (yet). We both do some deep breaths and go down at the same time. We plan what look we want to do and then we try again. The models can sometimes see my hand signals and make adjustments. I have assistants for lights and some swimming adjustments. It really depends on the models how well they swim! I had a go a few years back at shooting ballet underwater having got the loan of a private indoor swimming pool which was about 2m deep. I thought long and hard about having a scuba-rigged assistant who could feed air to the models. But the models had no scuba training and I had slight fears about breath holding etc. I just didn't think it worth the risk. In practice I found that the time they could hold their breath and pose was reasonably good. The biggest problems I found were ones I had not thought about: the micro-bubbles generated by a swimming pool pump and the way they adhered to the domeport. The vast majority of the 300+ images I took over about 90 minutes were ruined. To say I was gutted after spending weeks setting the shoot up was a minor understatement. And then I hadn't thought about the deterioration in the visibility caused by all the movement. One issue I didn't have to resolve was securing safely overhead, out-of-water lights. I used strobes in-water. 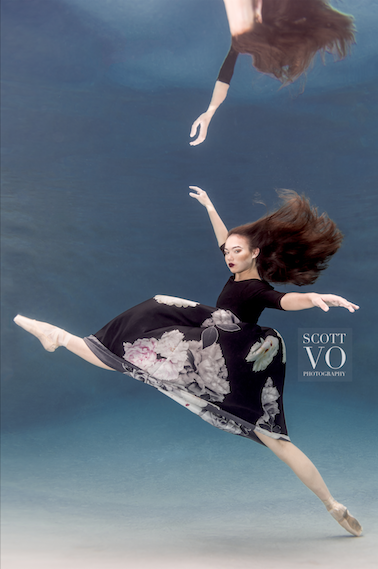 The models had ballet experience and, in general, were pretty good underwater. it was noticeable in post however that underwater modelling requires an even more eagle-eye to physique than above water. It was a fascinating experience that the whole team really enjoyed and the models did end up with a few good pics for their portfolios. The learning curve was massive. I came away with a number of thoughts for next time: get a warm pool(! ); perhaps try and find models who had some experience for synchronised swimming; keep checking the domeport (! ); and check out overhead lighting. Very nice images. 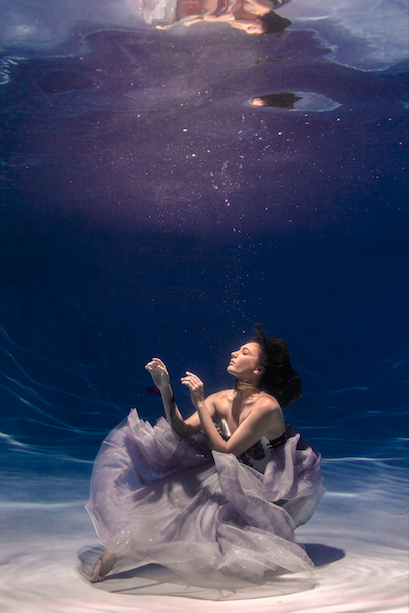 I'm barely adequate with shooting a model underwater. One technique that I did use that I haven't seen mentioned elsewhere is that I used an underwater strobe, but mounted to a boom that was secured on the deck. I was also concerned about the safety of the above water electrical (as mentioned in this thread), so I opted with the strobe on the boom with an articulating end (so I could position it either above or below the surface - depending on the effect I wanted). I enjoy photographing models. The challenge is lighting for sure. I placed my underwater strobes on a stand and sometimes submerge it or place it over the water. I get results like this. Edited by svo142010, 20 August 2018 - 07:35 PM. You use the flash or not to have this clear image result. Edited by Yazidive, 27 August 2018 - 08:35 AM. Stopping the pool pump( when possible or allowed) will help to eliminate the macro bubbles and other particles from flying in the frame, no water circulation will calm the water surface, if you are after perfect reflections this may be helpful. Stopping the pump sometime previous the shooting session may help all those little particles to settle as well. Thank you. Yeah, I built some custom sync cables to get some distance and more lights for my portraits. I agree, a bigger source of light is much better than an unmodified strobe without any diffusers. Thank you. This was with a flash! Thanks for the tip! I do turn the pumps on and off at times. Over time, there is a build up of debris in the water so I have to run it and let it sit. Here is another project I am working on. 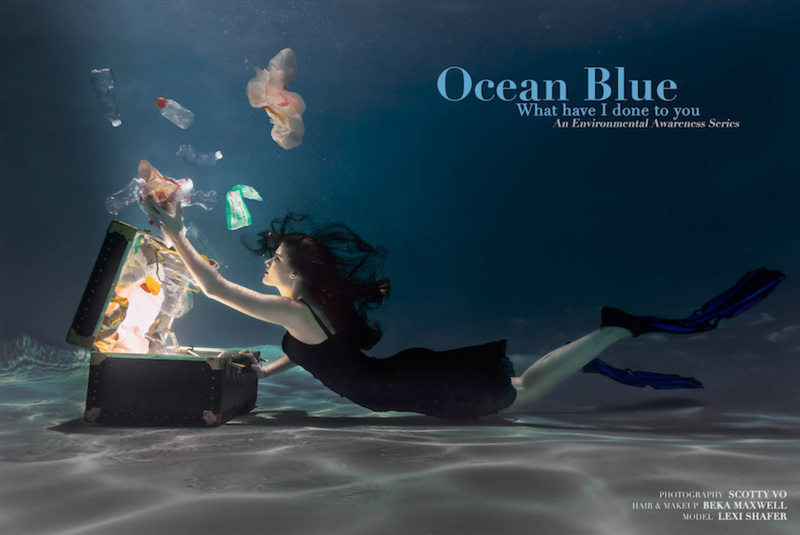 I am trying to raise awareness about ocean pollutants. What do you guys think? 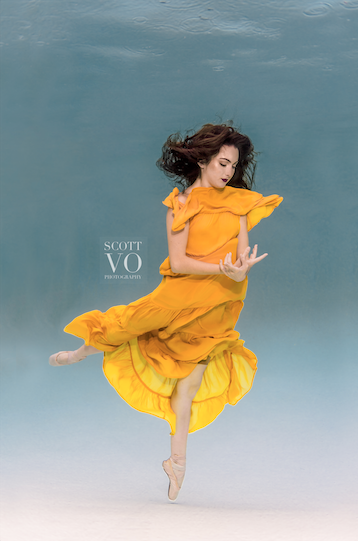 Edited by svo142010, 08 September 2018 - 08:09 AM. At first I was kind of wondering. Something seemed to be off with the picture.. then I realized it was the fins of the model. In my very humble opinion they kind of break the effect, because she's wearing normal clothing but using fins.. my eyes found that very confusing. When I though further about it, wouldn't it be funny if she was wearing a mermaid costume underneath? That would make here half "Upper world" half "Under world". And the upper world part would do the littering .. Just a crazy though. Very nice photos. I'm saving for an underwater housing for my Sony a6300 then I'll be shooting more models underwater.